I know it sounds weird but honestly I think it could have used a little MORE chocolate. I created this recipe for the Crunchmaster Recipe Challenge because I have recently become obsessed with creating and entering recipe contests…don’t ask. Anyway, this chili was a perfect balance of spice and heat with the chocolate bringing out the smokiness in the chili powder and paprika. I like a little heat but in light of my roommate who was joining me for dinner I held out a bit. However, I can definitely tell you I wasn’t missing out. The smoky flavored developed by the addition of the chocolate made it taste mildly spicy without leaving your mouth burning and eyes watering. If you make this and want more heat I suggest a dash of red pepper flakes or using spicy Italian sausage as opposed to the mild version. The best part of this whole chili recipe is how easy and quick it is to make. Good thing, because my stomach doesn’t have any patience after practice. So here it is, the moment you have all been waiting for, the recipe! ENJOY! P.S. 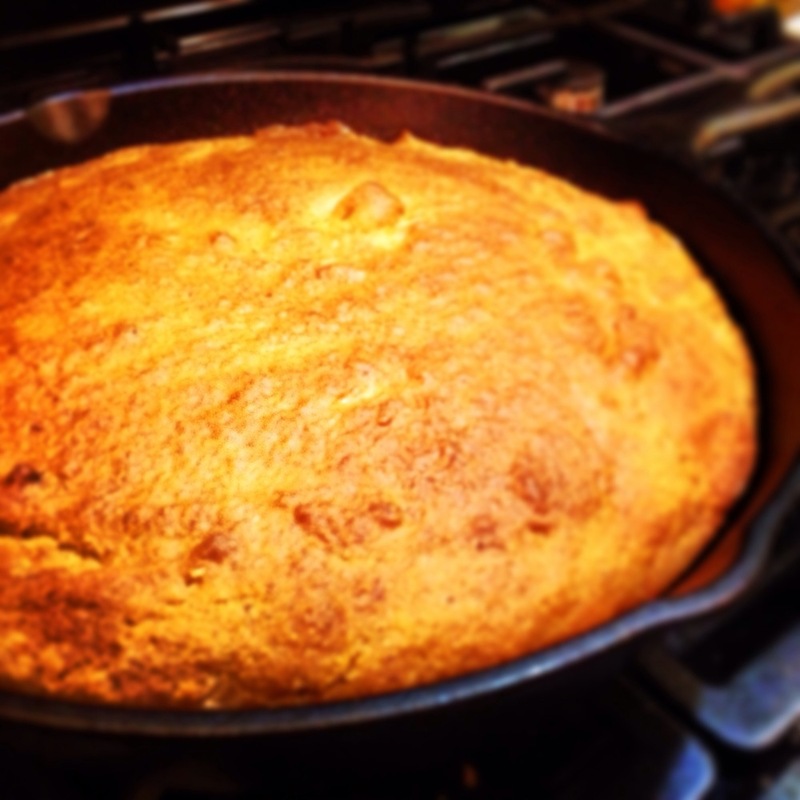 I included my regular gluten-free cornbread recipe for anyone interested! Heat the olive oil in a dutch oven over medium heat. Add the onion and salt and saute until soft and translucent. Add the garlic and stir. Let the garlic cook about 2 minutes and then add in the sausage. Break up the sausage as it cooks. Once the sausage begins to brown add the chili powder, paprika & peppers. Stir everything together and let cook about 3 minutes. Now add in the tomato sauce, rotel tomatoes, tomato paste, black beans, italian seasoning and the water. (I used the tomato paste can, filling it up twice to add the water. This helps to get more of the tomato paste out of the can). Stir everything together and let come to boil. Once the mixture has come to a boil reduce the heat to simmer and stir in you dark chocolate. Continue stirring until the dark chocolate has completely melted and has been thoroughly mixed in. Let the chili sit about 10min to let the flavors really come together. After 10min it is ready to serve!